Gotta love the leg lamp, though. Our lunch for two came to $40, and we left a $10 tip because the collards were good, and our waitron was great. * Little Richard Penniman – The King (and Queen) of Rock and Roll. This Just In – ALEX to Close Jan. 15…and Stephen Hopcraft is alive and well at STK! When my wife and I moved to Henderson from Houston TX 6 years ago, we had two goals – find a good BBQ joint, and find a good Mexican restaurant. We’ve succeeded with the BBQ but not the Mexican yet, a hybrid between Chevy’s & Lindo would be damn close, but no cigar. Lucille’s was the first BBQ place ‘people’ recommended. It.was.HORRIBLE. I usually give places a 2nd try just in case the first time was a fluke, but there’s no damn way I was going to give them a 2nd try when it was that bad the first time. I haven’t been back since. I tried a Texas BBQ joint on Sahara by the Burlington coat factory, which was ok, but still far from Texas roots. We finally ended up going back and forth between Famous Dave’s & Memphis BBQ for a few years, yet I still had to make a mad dash straight to a BBQ joint every Christmas I went home to see our parents/in-laws. For the first time since we’ve moved to Vegas, we didn’t go straight to a BBQ joint after landing at the Houston airport this past Christmas. In fact, I had no craving to go to one the whole trip, of course, because we had a good one back home. Now if only Casa Ole would open a place in Vegas……. So is this just a filler review or is meant to be taken serious. I wonder when you will stop reviewing shlopped out factory food. Probably never; you really dont review food for texture/flavor, technique, preperation and all great things culinarian. 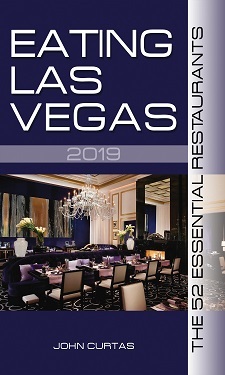 I wonder, how can someone really appreciate or critique cuisine at Robuchon, Twist, RM or any of the fine flavor and technique machines in Vegas when you can actually still palate the garbage above. Its more about eating. Its more about great places to get calories when the weather is cold. And to the guy that wants a cross breed of chevys and lindo – THATS SO WHITE. Why dont you just go to Mesa grill. Which is exactly why I grill and smoke my own. I am not happy with the BBQ either, although I must say that about 8 years ago, Lucille “wasn’t bad.” After about the third visit, however, something started to happen and my last visit was in 2004. Typical story – restaurant starts out great but after a little success starts to cut corners. was there a sign next to the lamp that said “fra-gee-lay”? Try Harry O’s on LVBLVD and Oakey. We only tried hot links and ribs, but both were tasty. @’great review’ #3 – well, I have to admit, I am white… You got me. If only you had gone to Costco first. They have discounted Lucilles gift certificates. Sadly, after four attempts, I have not had one decent meal at Lucille’s. I do not understand how it is still even in business. Been to Austin and Lockhart Texas, this is as close as i’ve found.